If you are in the market for tungsten jigs, there are many different avenues that you can choose from. For me, I have yet to find a company that surpasses the quality being produced by Bentley Fishing USA. I have trouble fishing with tungsten under normal conditions because its expensive and I hate to lose one to a big fish when I fish light line. Between the thousands of jigs I own, I have great confidence in many of them so my options are always open. The majority of the time that I fished tungsten this past winter has been on the Connecticut River (due to the lead ban) and while fishing in deep water situations. At the beginning of this week, I obtained my last shipment of jigs for the season. Along with the standard bumblebee and bug jigs, I received several new styles of jigs that will be hitting the US markets in the future. If you have checked out their site before, be sure to go back now as they have some new color schemes that look very promising! The first jig I will link up is the G-Hopper. This jig has an advanced weight to size ratio factor and gets the your desired fishing zone quick. The rounded green and red Swarovski crystals reflect light in multiple directions better even in murky water. The other day when I was fishing deep water crappie, I noticed that as I reeled my line up the first thing I saw was the crystal. The reflective capabilities of these crystals are amazing! 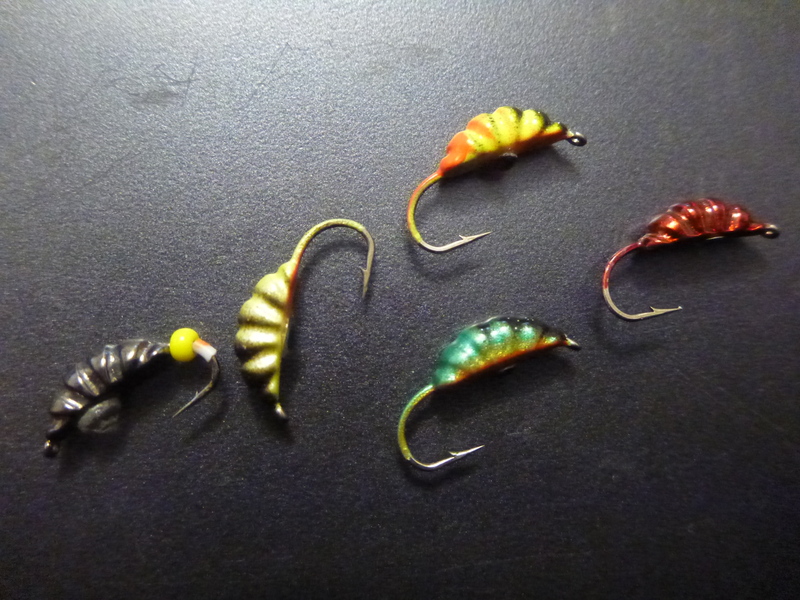 Below are the new Caterpillar Jigs. Unfortunately they are already sold out for he season but I think that they will be a big hit when they come back. They are produced to resemble swimming larva and I think they fish similar to a rocker. This season I fished more vertical than horizontal jigs. 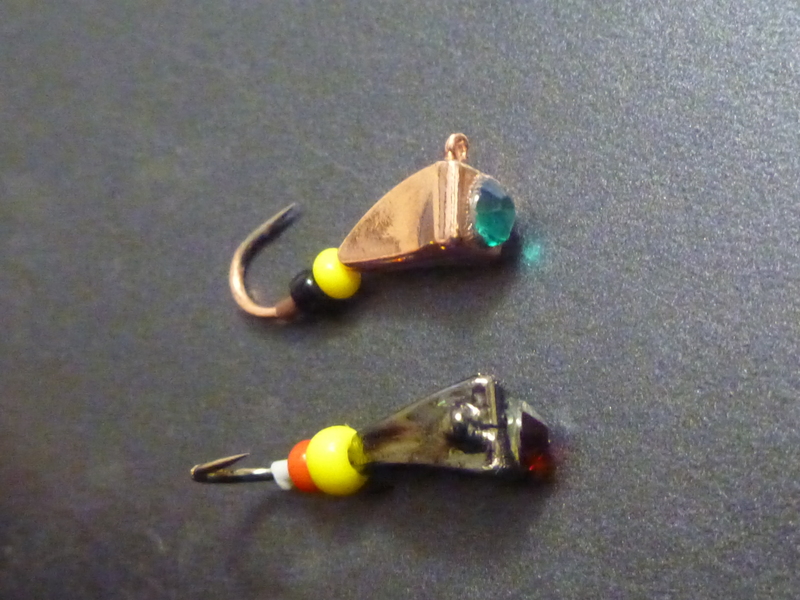 I find myself getting better hook up ratios on vertical jigs but it is really all about how aggressive the fish are. 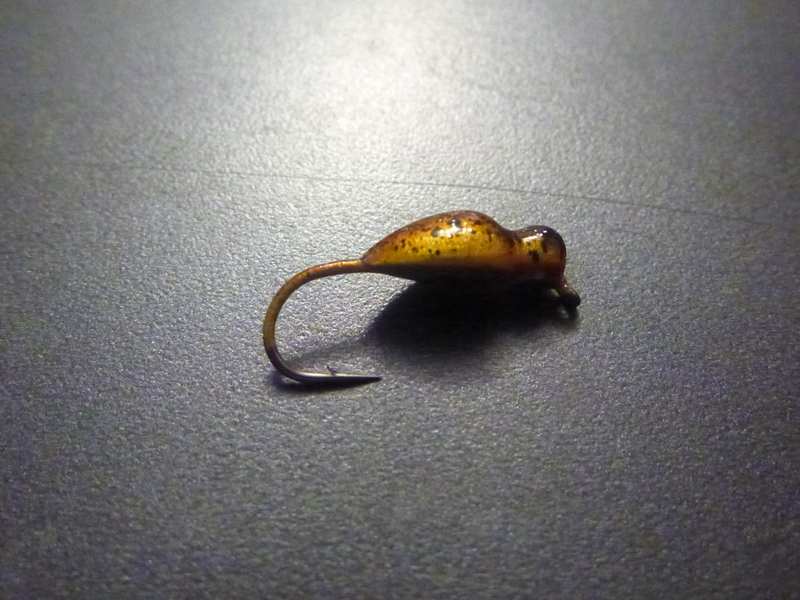 Some of these jigs have multiple crystals or eyes rather than just one for different amounts of flash. The remainder of the jigs are not available for purchase at this time. They are currently no named jigs only labeled by a number. They are only available in the Bentley European marketplace but be on the look out in the future! This one looks like it will be killer on perch! Now I just need to get over fishing for gills and crappie for a day! 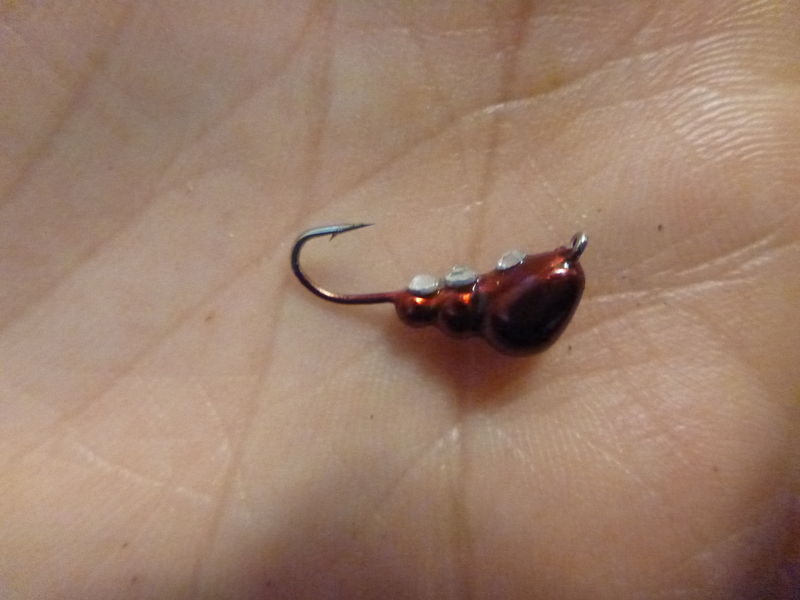 This one is shaped like a demon but has a more defined body because of the added tungsten weight. It will be great for deep water situations where demons are the preferred. 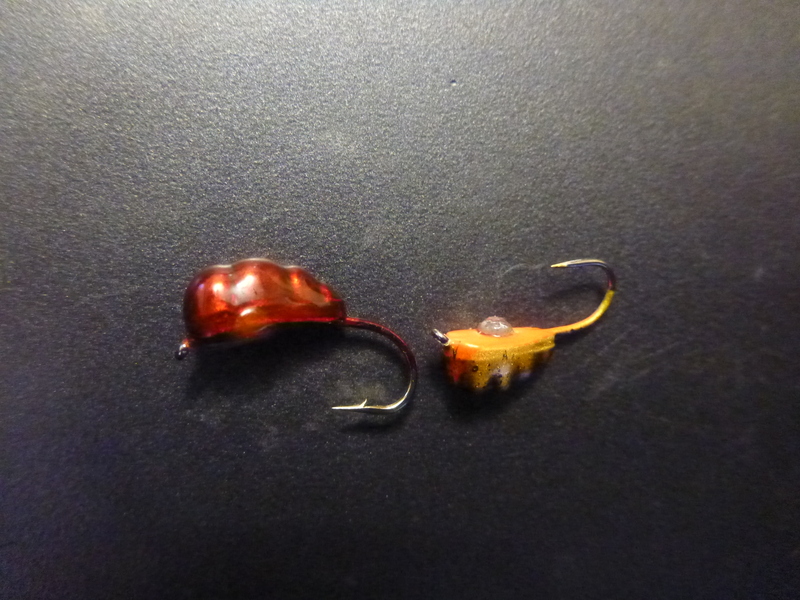 I haven’t tried these jigs yet but by the feel i think they will have quite a rocking motion. They are super top heavy. Be sure to check back for reports of success’s and failures with these jigs. I’m sure there will be far more success stories but hopefully we can help guide you towards more productive baits. I will try to get some feedback before the ice is gone. With the current conditions, it won’t be long till the boats are out..